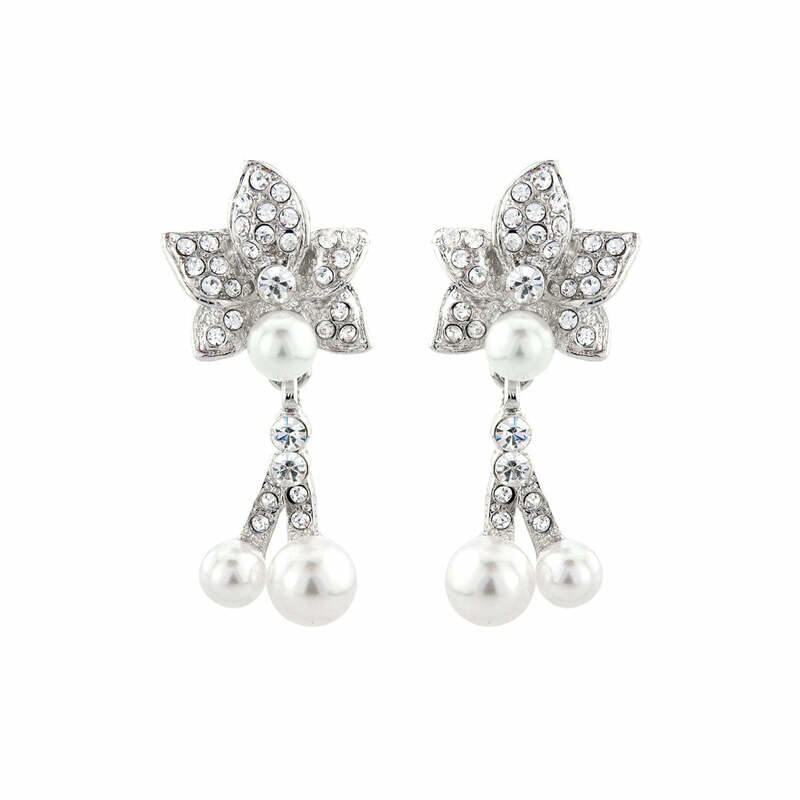 A classic floral fantasy, these crystal & pearl drop earrings are inspired by precious 1950s designs. Effortlessly capturing the timeless charm of pearl and diamond earrings from the early 1950s, Petals and Pearls Earrings are simply divine. Featuring a large flower encrusted with sparkling Austrian crystals and three stunning light ivory pearls, these floral earrings are a truly exquisite choice for those with a taste for classic glamour and perfect wedding earrings for timeless brides. With their 1950s inspired design, these earrings, for pierced ears, look astonishing worn alone or coordinated with matching Petals and Pearls Necklace to take your look from eye catching to absolutely sensational. Wear your hair in a classic up 'do, adorned with a vintage style side tiara, to evoke the essence of the era and show off your beautiful Petals and Pearls Earrings.